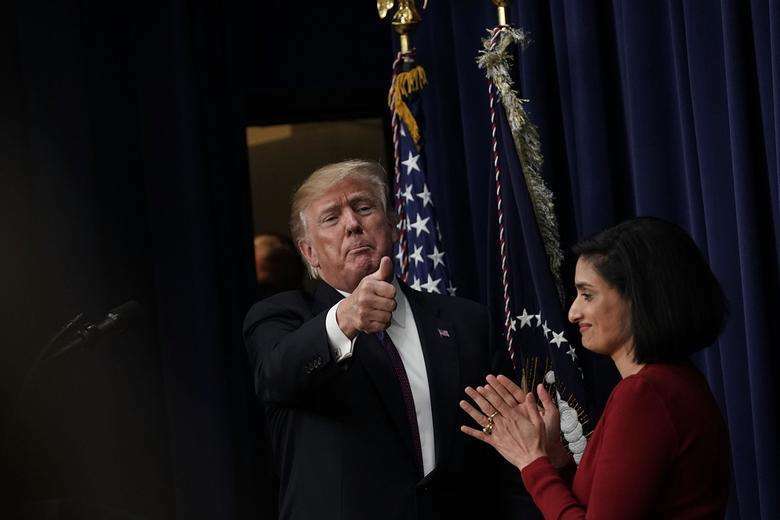 Obamacare coverage is about to get slightly more affordable for some Americans, and the Trump administration is already taking credit where none is due. First, the good news: The Centers for Medicare and Medicaid Services officially reported Thursday that the benchmark silver plans sold on HealthCare.gov will cost 1.5 percent less on average in 2019, compared to this year. What’s more, after years of insurers fleeing exchanges, a number of them are coming back to sell plans and compete. The Trump administration has taken some steps to lower premiums on the exchanges. For instance, they’ve approved waivers for states such as New Jersey and Alaska reinsurance systems that have helped push down prices. But again, the administration is largely just mitigating the damage it inflicted on the market, and prices would be even lower if they’d just left the individual mandate in place. It’s like if an arsonist demanded credit for saving a pet cat from the house he set on fire. The idea that Obamacare premiums are falling also needs a few caveats. First, benchmark premiums aren’t declining everywhere. In some states, like Delaware, they’re still set to rise by double digits. Second, the fact that silver plans are getting cheaper won’t help everybody. People who buy unsubsidized Obamacare coverage will likely end up better off, since they pay full price for their plans. People who buy subsidized coverage, however, may end up a bit worse off, since the tax credits they receive are pegged to the value of a silver plan. When those policies get cheaper, they get a smaller subsidy from the government.